OTTAWA - A move by the Mounties to doff their fur hats in favour of more animal-friendly tuques isn't getting any muskrat love from the federal Conservatives. 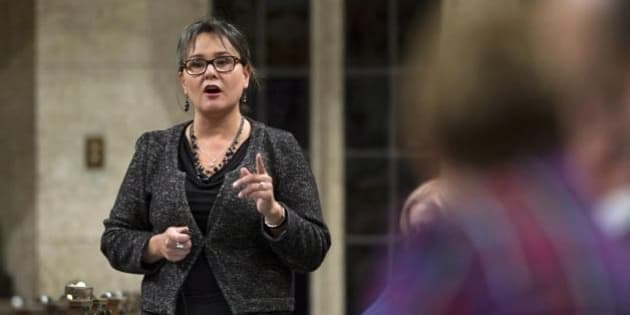 Environment Minister Leona Aglukkaq told the House of Commons on Tuesday that the public safety minister had directed the Mounties to reverse the decision. The RCMP wrote to an animal-rights group last month to say it had tested a tuque that works well in normal winter conditions, and that it would supply the new hat to cadets as early as this fall. The Mounties said the muskrat hat would continue to be issued to officers working in extreme cold, stressing that the force and its garment suppliers comply with an international agreement on humane trapping standards. However, in its letter to the Association for the Protection of Fur-Bearing Animals, the RCMP said the overall result would be a "significant reduction" in the number of fur hats worn by members. "We have listened to the views of external interested parties and of our employees," wrote RCMP Corps Sgt. Major Darren Campbell. "RCMP officers stationed in areas that are not considered extreme will be issued the winter tuque only. Those that will require the fur hat will have to request approval and authority from their line officers in order to obtain the fur hat." The association says muskrats are caught in body-gripping traps, which can leave them exposed to the elements and predators, and prone to dehydration, starvation and self-inflicted injuries before they die. A single fur hat like that traditionally worn by the RCMP requires at least three muskrat pelts, the association adds. The historic fur hats worn by the RCMP "will not be discontinued, despite the efforts of the radical animal-rights activists," said Aglukkaq, a staunch supporter of the fur industry who hails from Nunavut. "The RCMP decision, which is causing much glee among anti-fur activists, is being fully overturned. Our government will always stand up for Canada's hunters and trappers." The RCMP referred questions Tuesday to Public Safety Canada. Association spokesman Michael Howie heard the news with "a combination of shock and disgust." "The RCMP made a decision based on facts, scientific testing and the collective attitudes of their members and the public," Howie said. "The government of Canada is clearly trying to pander to a dwindling industry and disregarding the rest of the country's views." In the Commons, Conservative MP Robert Sopuck said the "egregious anti-fur decision by the RCMP" had threatened to devastate thousands of livelihoods. "The fur trade is vital to the economy of many remote rural communities — communities who often have few other economic options." Howie said the majority of Canada's fur cultivation actually takes place on factory farms where hundreds of thousands of mink and fox are kept in tiny cages and slaughtered for their skin. The association has launched an online petition demanding the government honour the RCMP's original decision. "Interfering with what the public clearly believes in is what is disrespectful here," Howie said. "And right now, we are disgusted with our government."